The UK government has imposed an immediate freeze on all new IT spending above £1m, and reviews of the biggest IT projects are being set up to see which can be stopped. A new group, the Efficiency and Reform Group, has been set up by the Treasury and Cabinet Office, with the power to enforce spending cuts across Whitehall. It will "make sure departments work together to tackle waste and improve accountability across a range of areas, including ICT spend, procurement, advertising and marketing spend, and Civil Service expenses and recruitment". The group was formed as part of the drive to cut £6.2bn from government spending, announced today. It will be staffed by civil servants from across Whitehall. It will centralise procurement for goods and services, freeze all advertising and marketing spend, with only essential campaigns allowed, and freeze all new consultancy spending. All the freezes will apply to the 2010-2011 financial year. It will also start renegotiating contracts with major suppliers across government and implement a programme to simplify HR systems across Whitehall. There is also a hint of a pay freeze to add the already-announced recruitment freeze, with the group saying it will "conduct an immediate review to create a more simplified approach to Civil Service pay structures and terms and conditions". 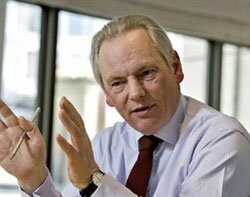 Minister for the Cabinet Office Francis Maude said, "We have got to get an immediate grip on Whitehall waste if we are going to tackle this unprecedented £156bn deficit quickly. By joining forces and concentrating our efforts where the money actually gets spent, we can make sure the maximum amount gets taken out of government overheads."